This issue’s cover illustration by Nick Price is from Pongwiffy, Back on Track by Kaye Umansky. Kaye Umansky is interviewed by Julia Eccleshare. Thanks to Bloomsbury for their help with this May cover. A sequel to her previous volume of autobiography, Jacky Daydreams, this volume is presented as a journey through the diary kept by Jacqueline Wilson in 1960 when she was 14. Organised as much by theme – clothes, dancing class, school, holidays, friends – as chronologically, the book is illustrated with photos as well as the trademark Sharratt drawings. I often find the mismatch between the outward appearance of Wilson’s books, marketed in little-girl dust jackets and with infantile illustrations, disturbing, little distinction being made between those titles for younger children and those with bleaker themes. In this book, she constantly belittles her 14-year-old self, criticising her own taste in clothes, poking fun at the mores of the time, depicting her teachers in crude caricature and so on. 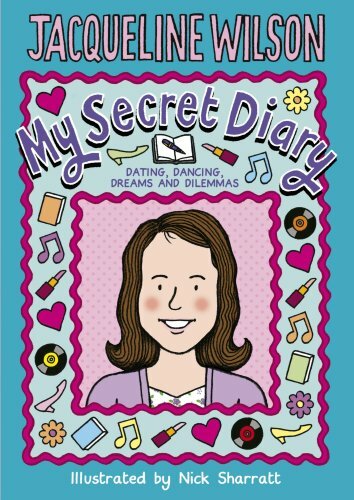 Of course, we can all find our younger self cringe-making, but the little girls who form the bulk of her readership need to believe in themselves, as she herself did at the time, if they are to emulate her in keeping their own diaries and letting their developing personalities express themselves. As a child, I always wanted to know about the authors of the books I read and loved. A book like this would have seemed perfect – but ‘boring’ said my 11-year-old daughter. And Parental Guidance recommended, I’m afraid, as with many of Wilson’s books for older readers.